Last year I was very Happy with the selection presented by the 12 Days of Christmas. With the odd exception I probably still have them installed. Ok, not a fan but this is a reasonable freeby. Three songs and three videos of the London band covering their career. Fans will only be slightly put off by the the facts that the Videos are of the very same tracks as the Audio offerings and all six are from the iTunes Festival. Therefore all are live tracks. 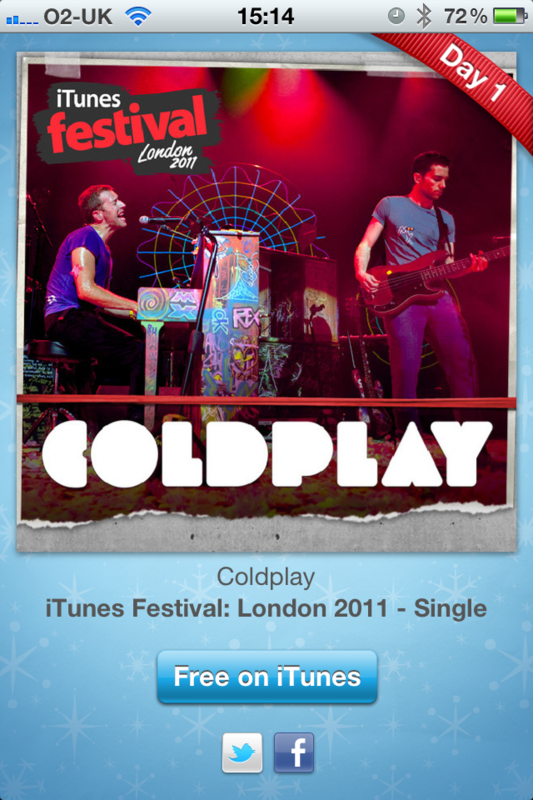 Merry Christmas, all you Coldplay fans!